Nathan Blake returns this year with his very special and extremely popular classes on stage movement for our attendees. 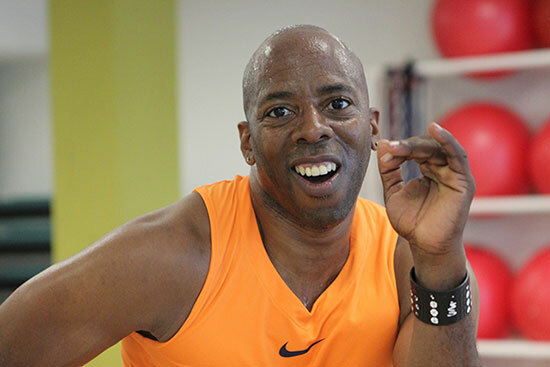 Nathan Blake is a YouTube sensation in the Zumba world, with over 2 million views for his dance videos posted from classes he’s given in more than 40 countries and 6 continents. His well-earned Zumba nickname is “Mister Worldwide” and his upbeat, high-energy, charismatic teaching style has gained him a devoted and loyal following. Blake has performed onstage with Beto Perez (the creator of Zumba) as a back up dancer for several Zumba national conventions, and appears at every major Zumba event, both nationally and internationally, including those held in Australia, Germany, France, and Sweden. Most recently, Blake was in the Czech Republic assisting Beto and the Zumba team with his energetic warmup routines. Nathan has a performing arts degree from Hofstra University and also attended a 2-year dance intensive program at Alvin Ailey American Dance Theater. In addition to his work in the field of Zumba and cardio dance, Blake also performs annually with the Scottish Ballet in Glasglow.